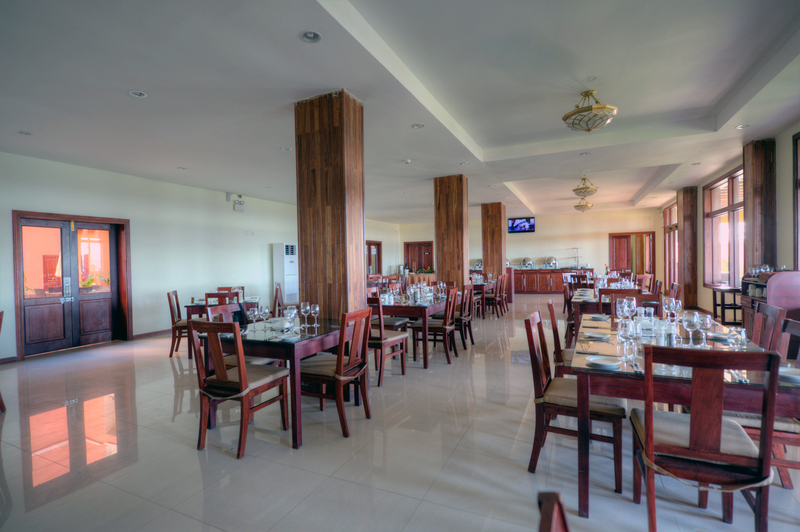 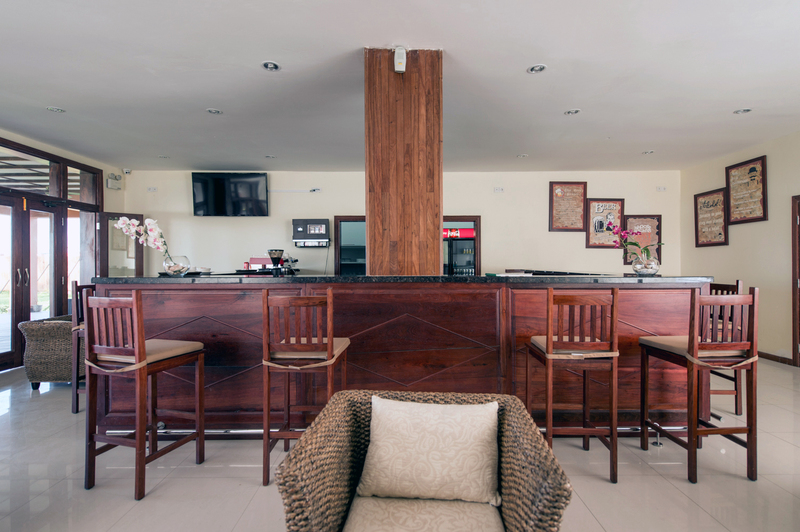 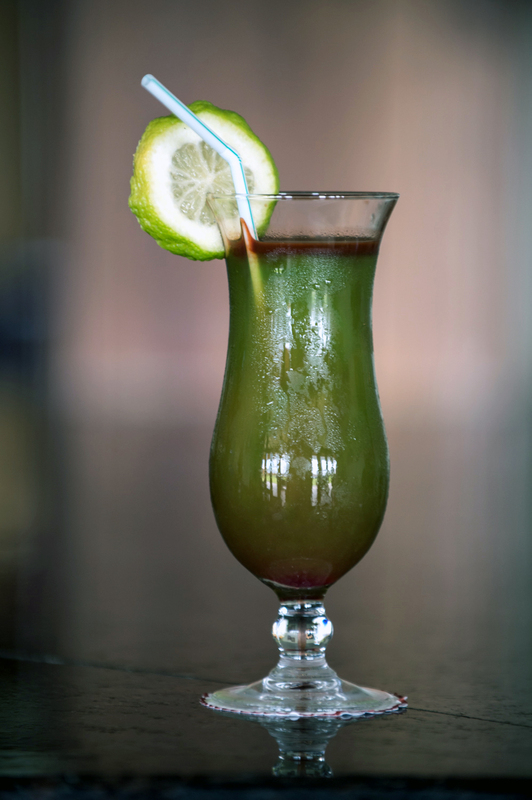 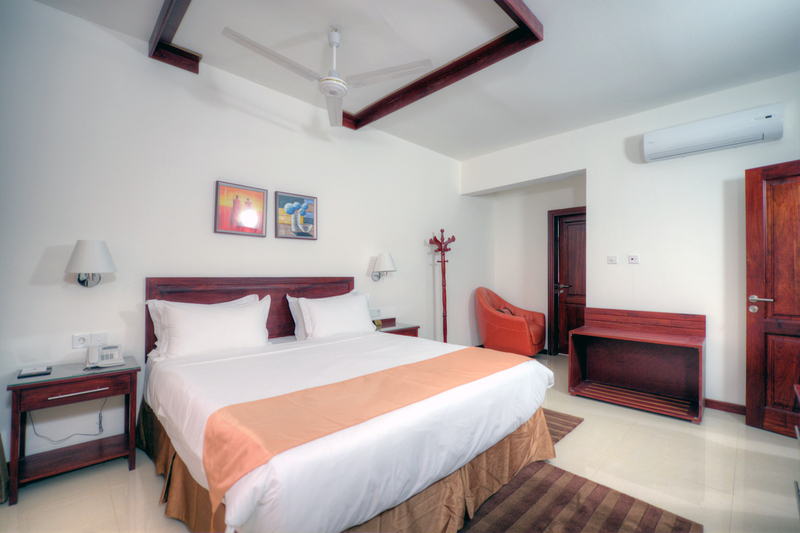 PEMBA`S FINEST HOTEL FOR BUSINESS & LEISURE. 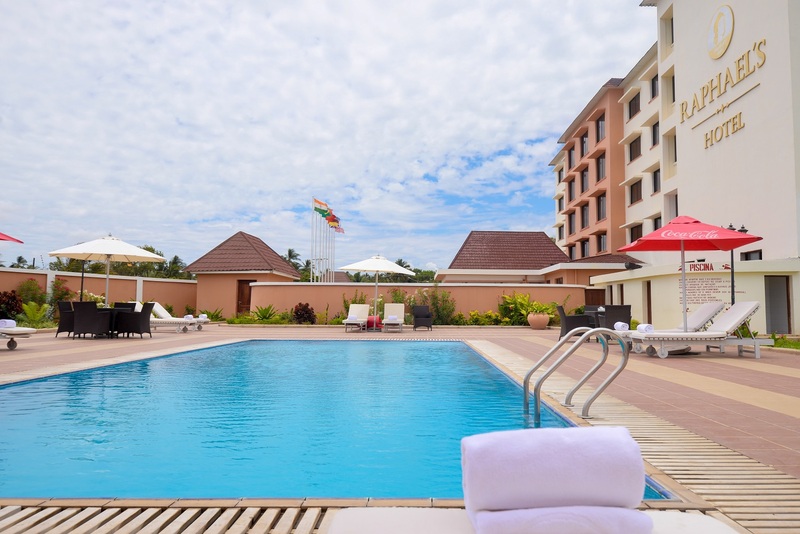 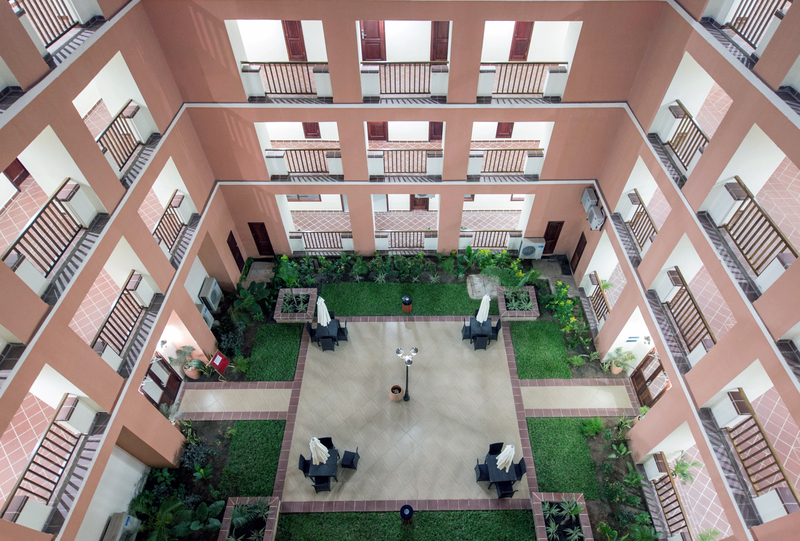 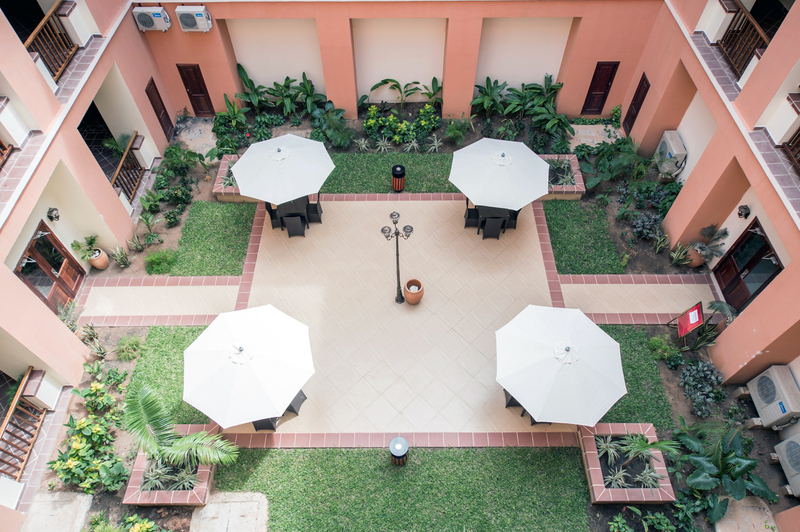 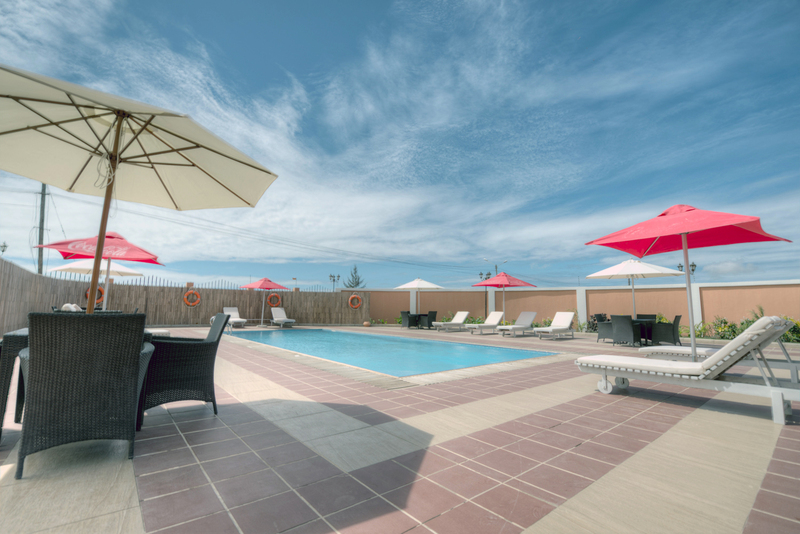 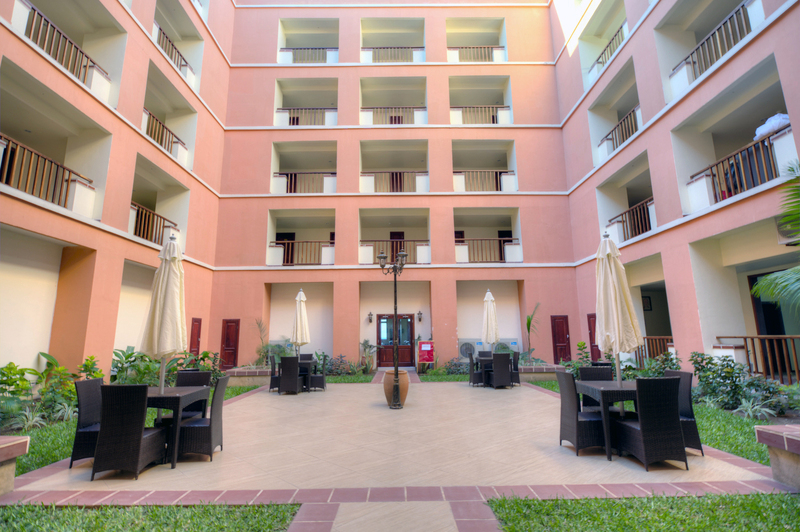 Raphael’s Hotel, Pemba newest Business Hotel with all modern amenities, it is located on a short drive from Airport, Overlooking the beautiful blue sea, The hotel features a beautiful Atrium courtyard and all modern amenities and facilities for a luxurious and comfortable stay. 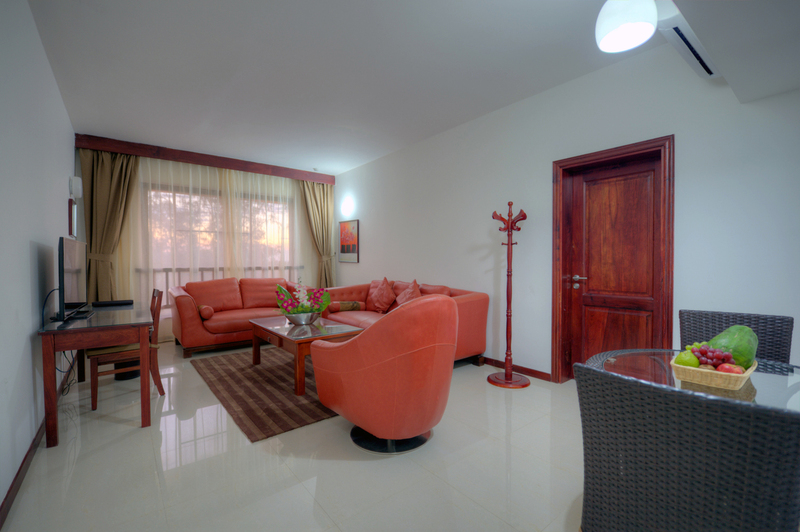 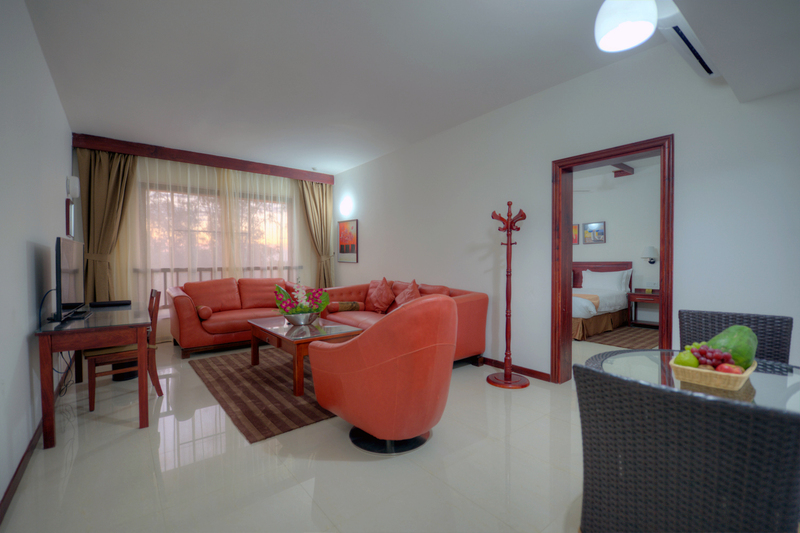 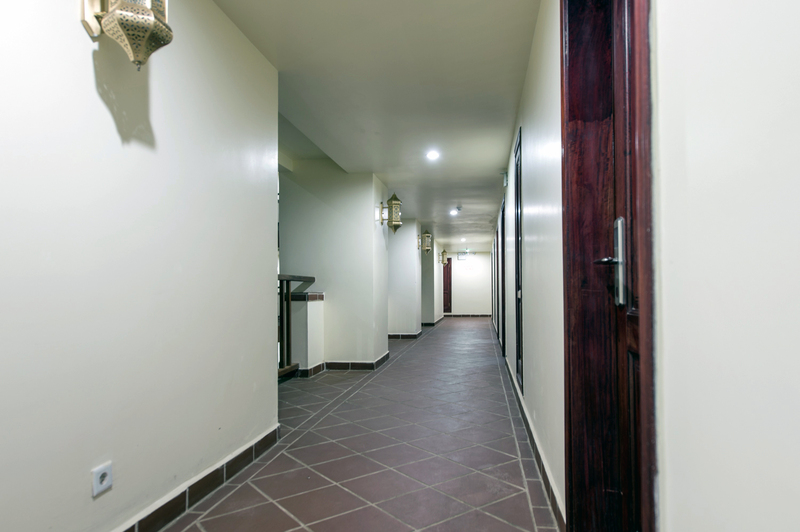 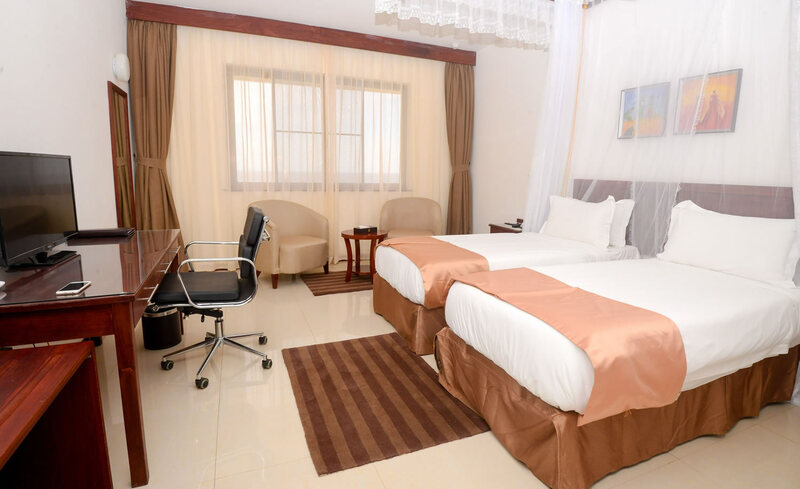 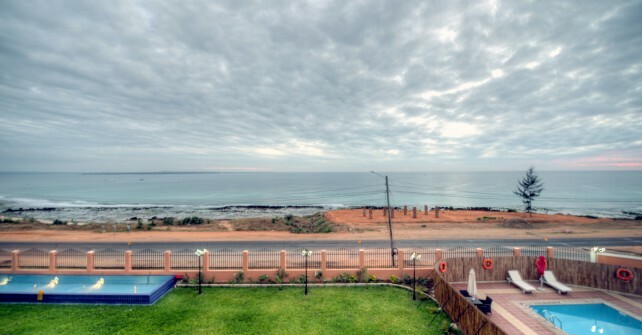 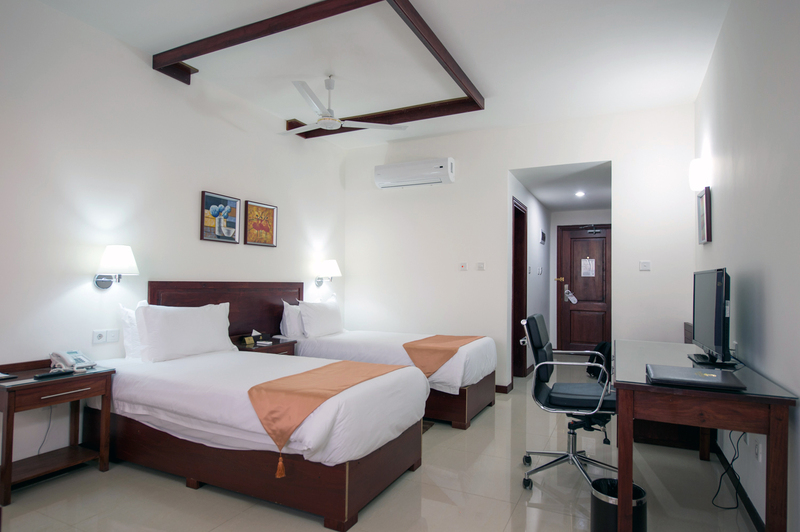 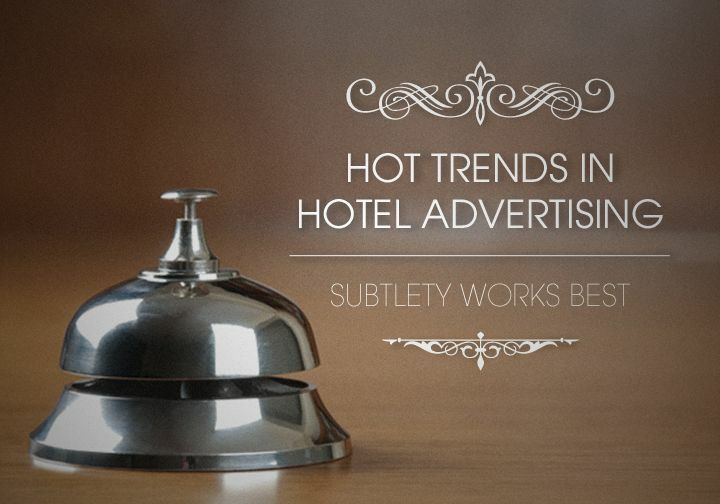 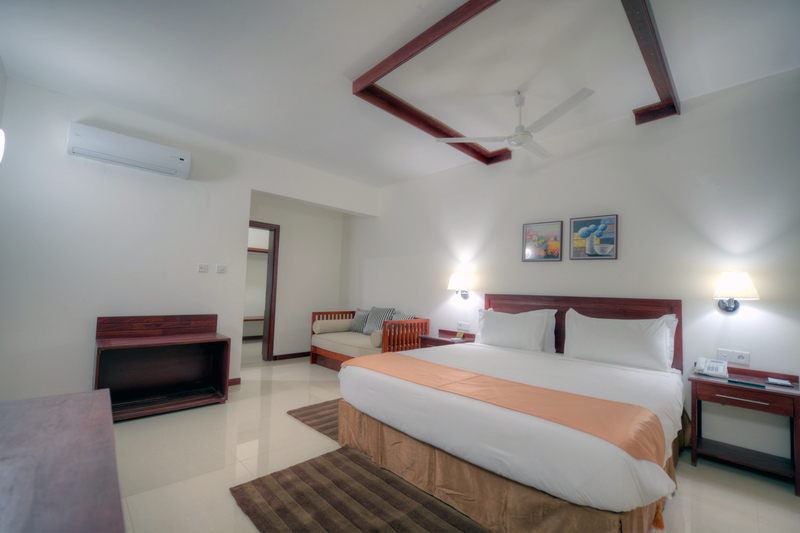 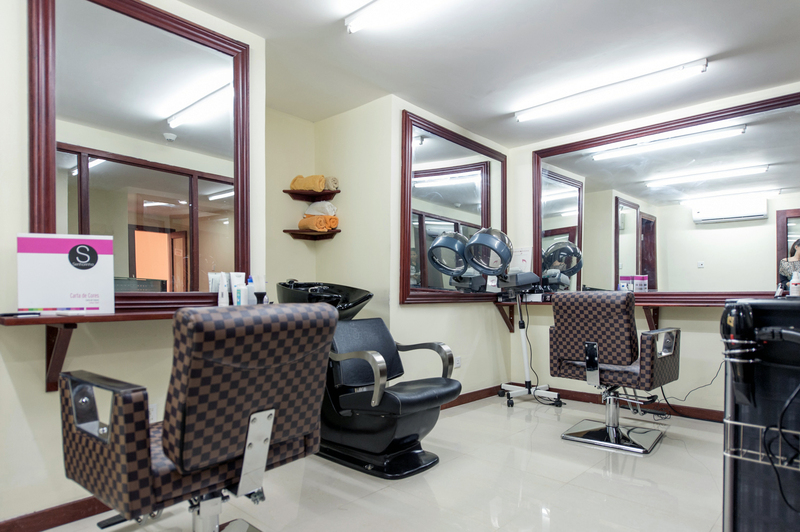 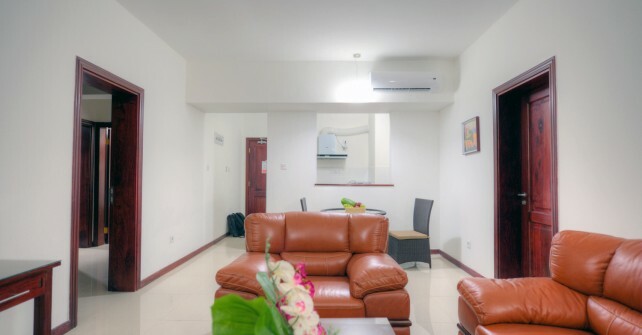 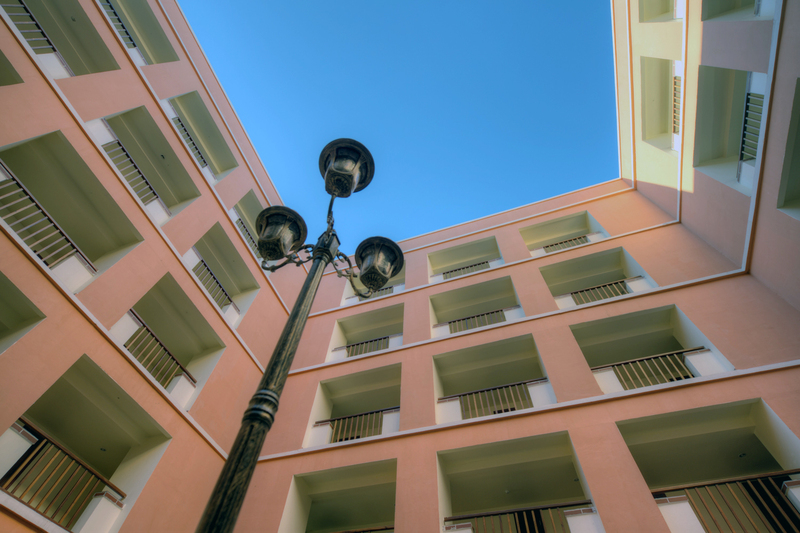 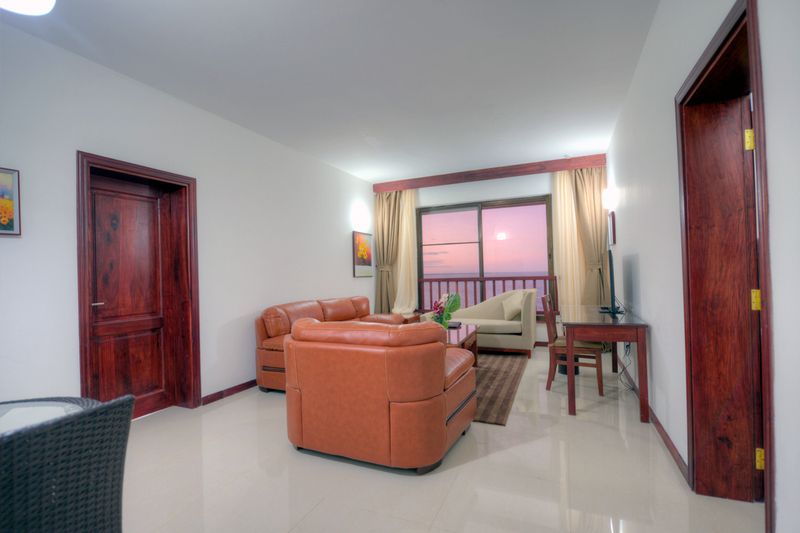 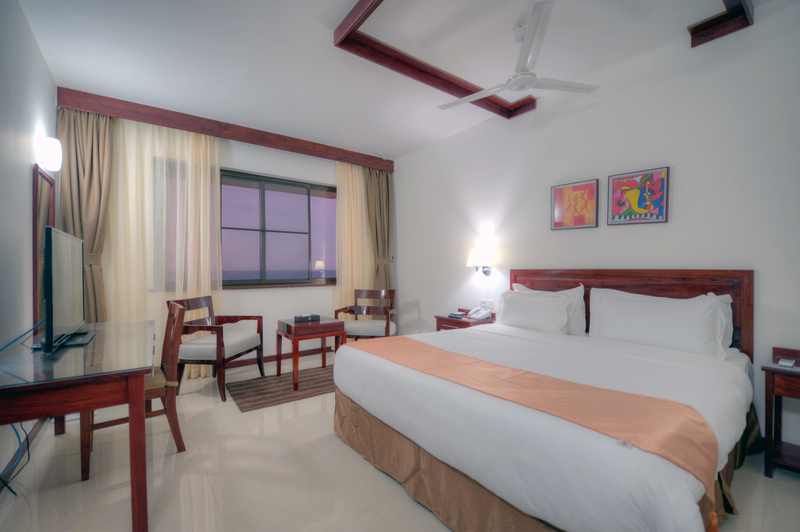 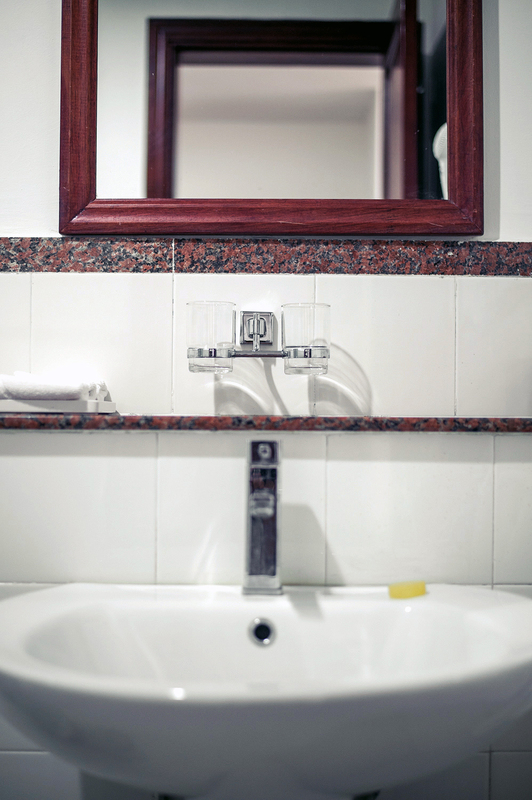 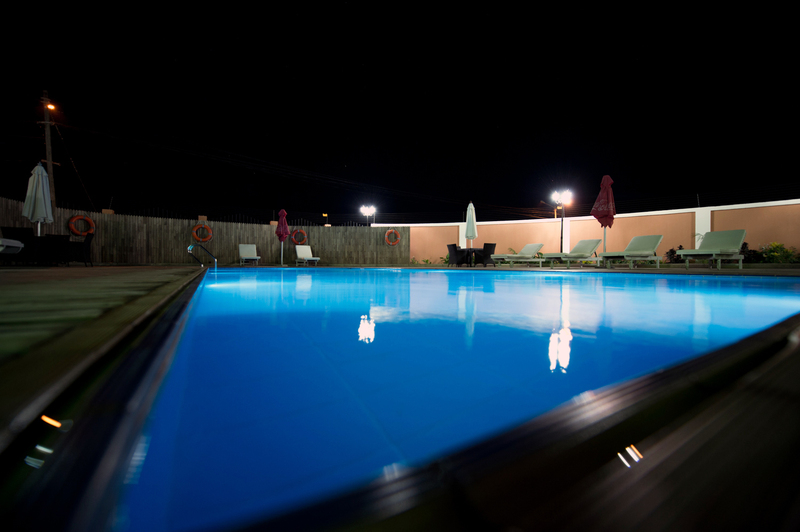 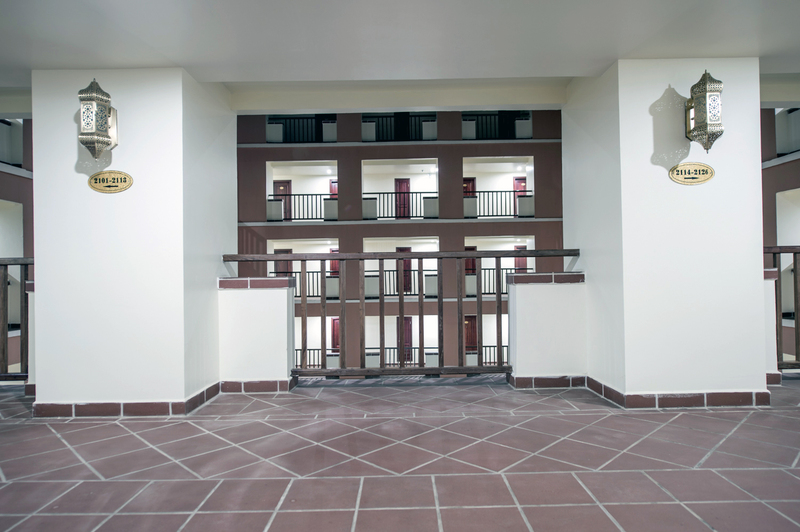 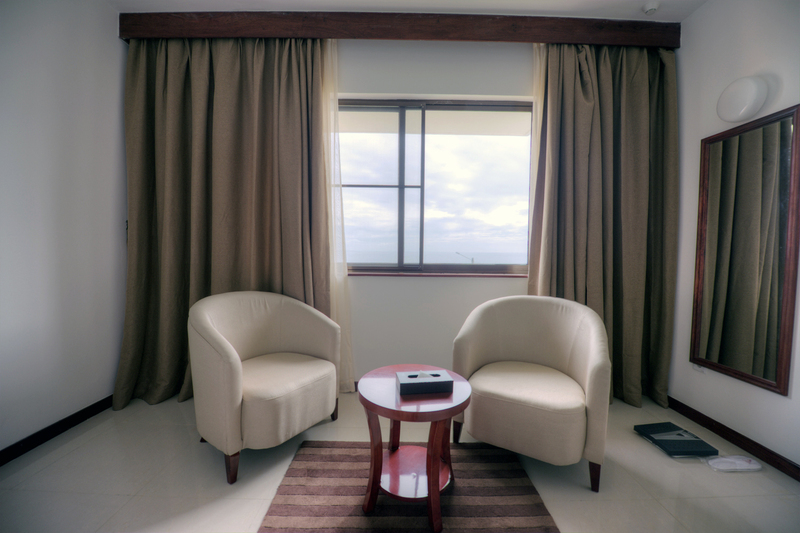 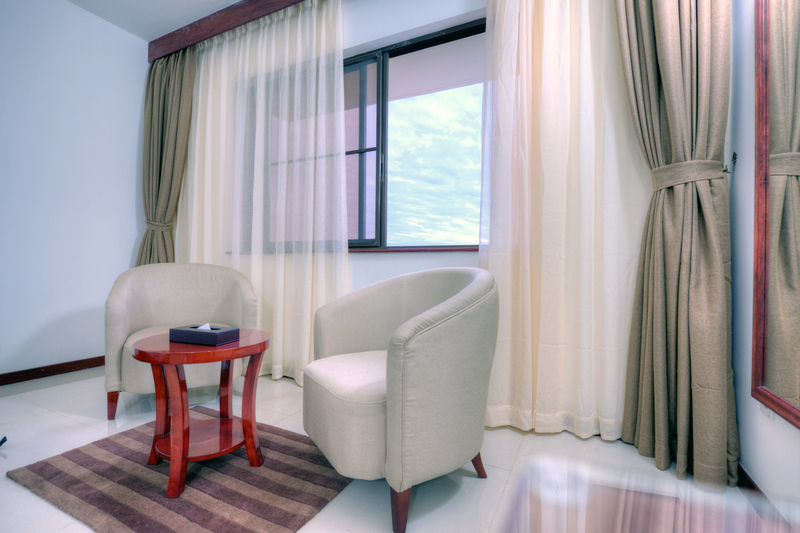 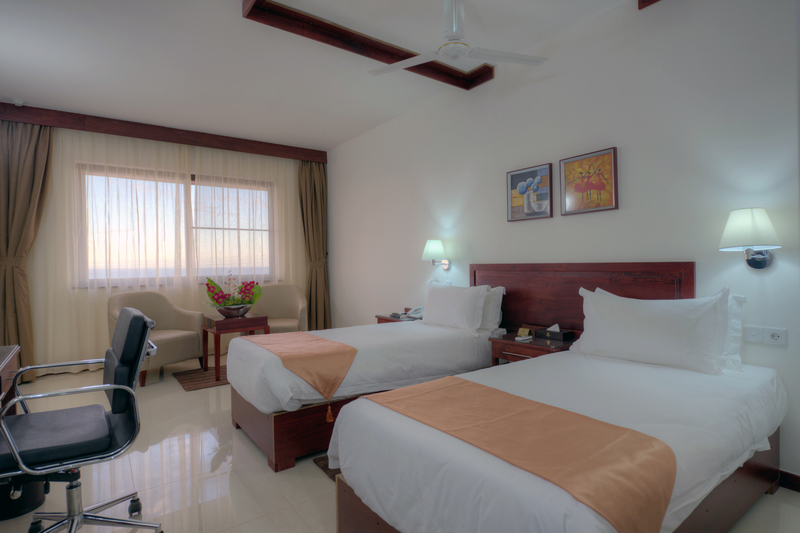 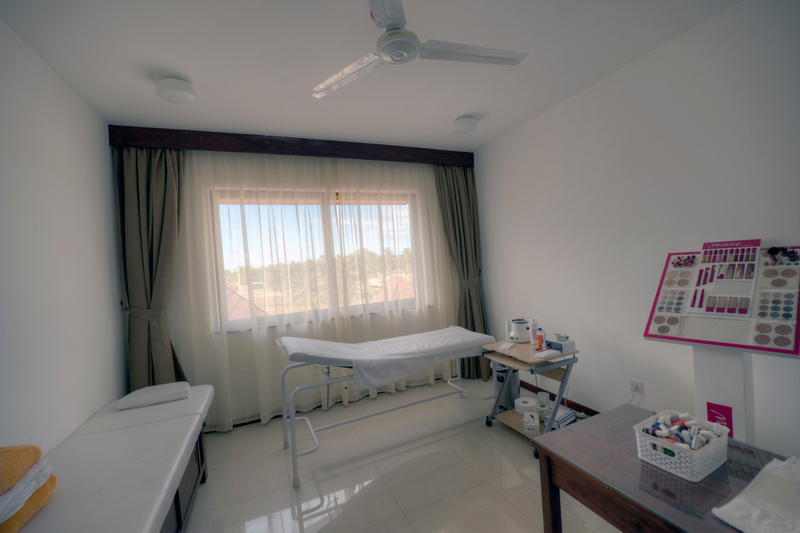 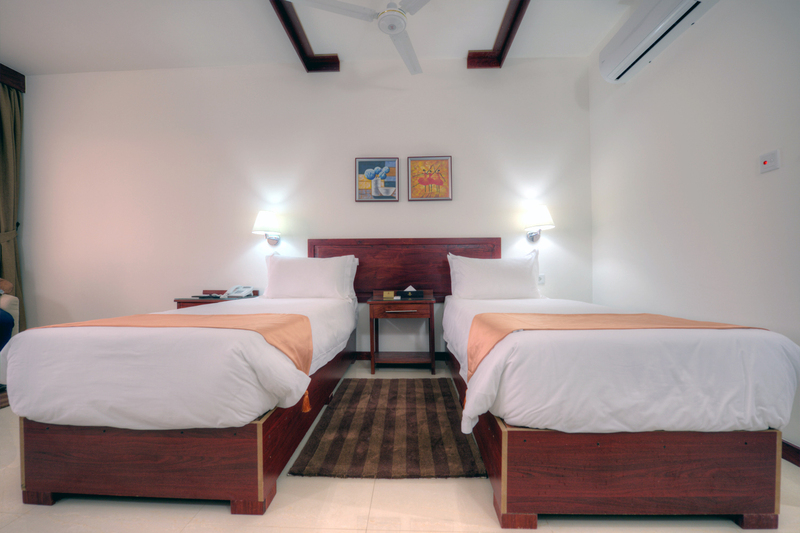 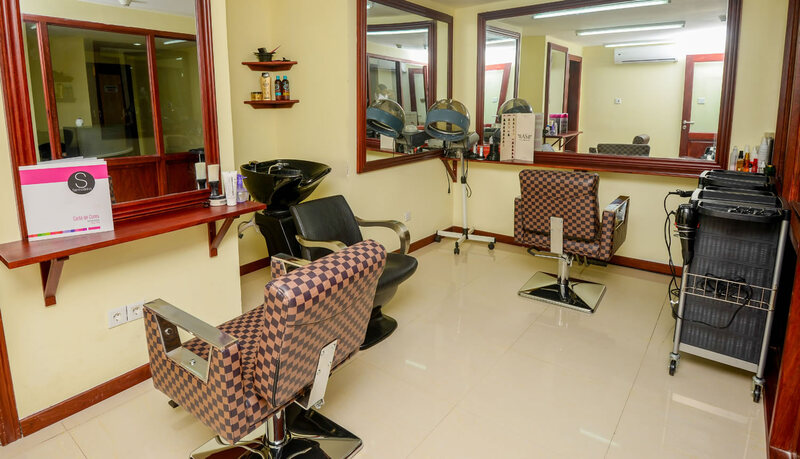 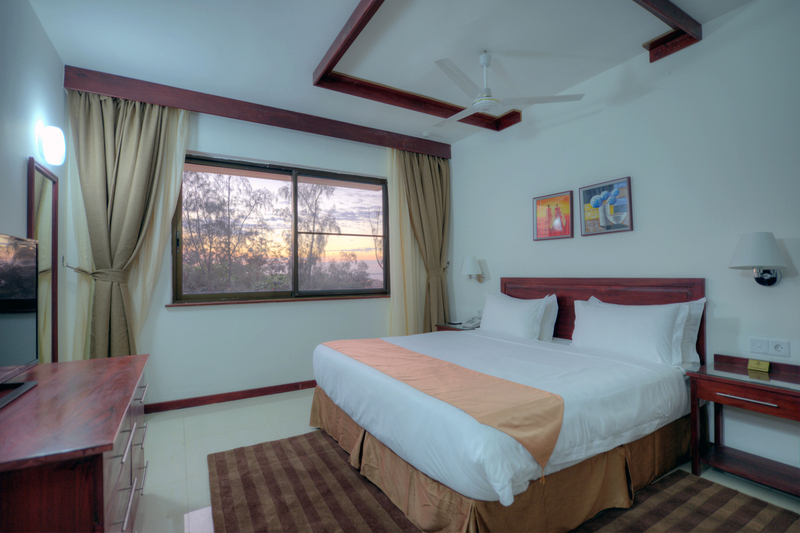 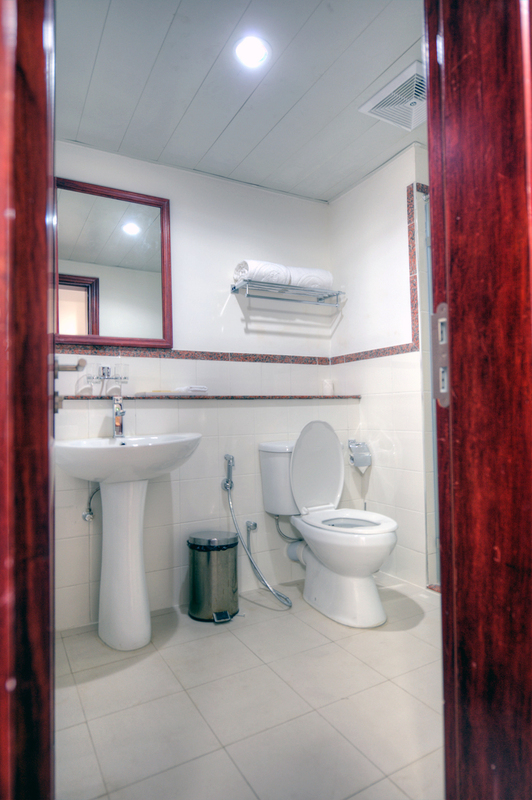 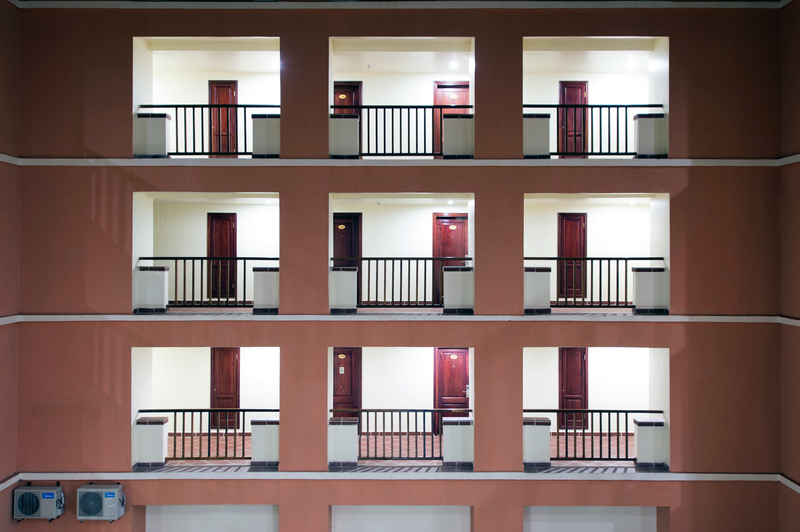 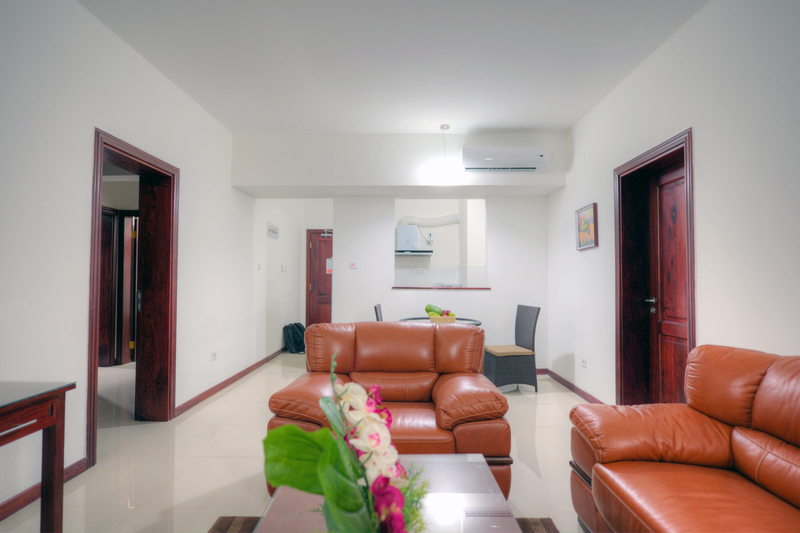 The hotel offers 84 rooms consisting one and two bedroom suites, Deluxe Studios & Deluxe rooms. 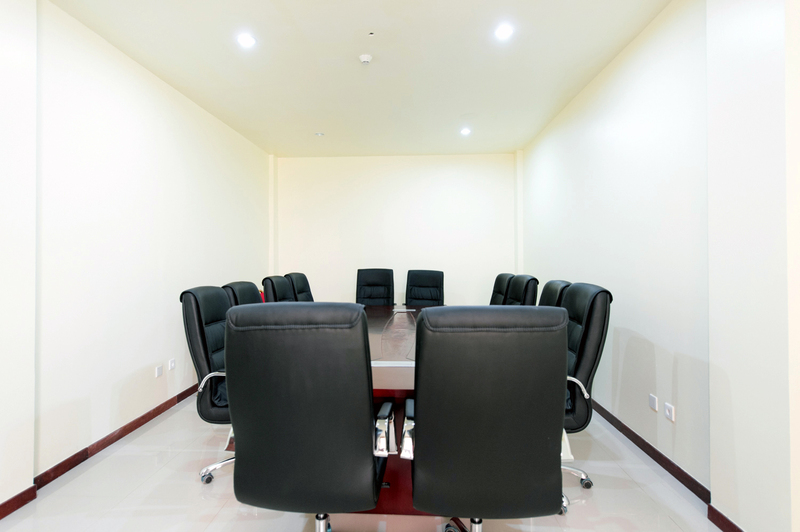 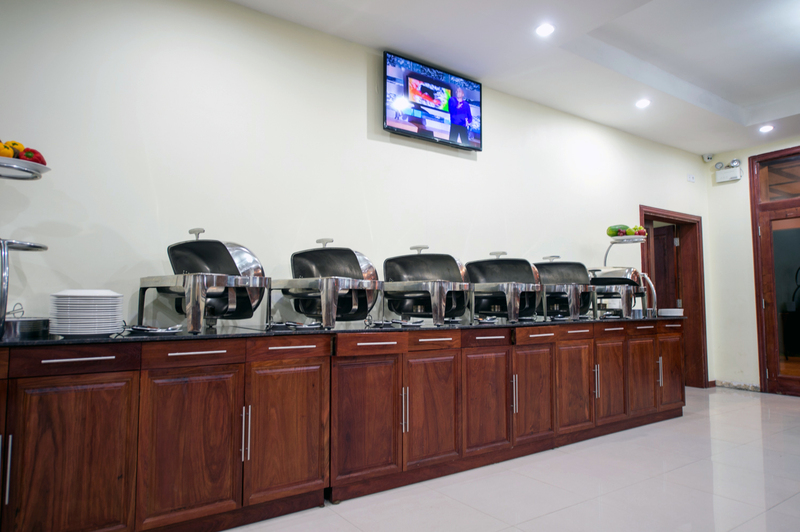 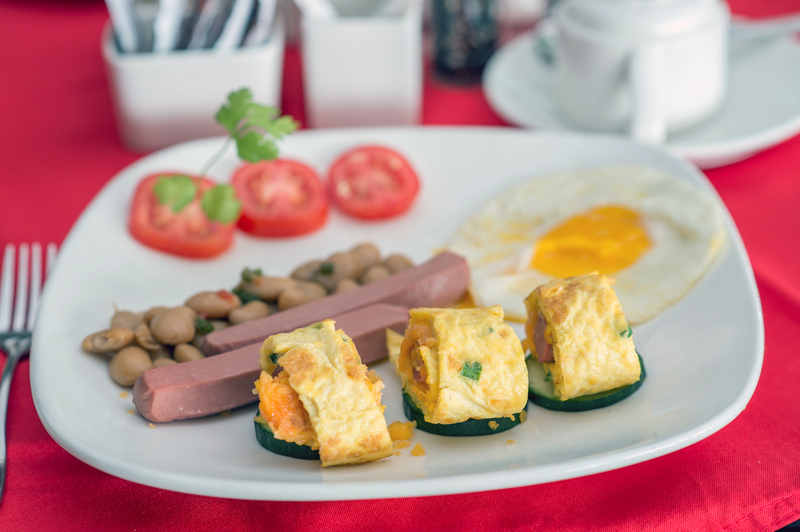 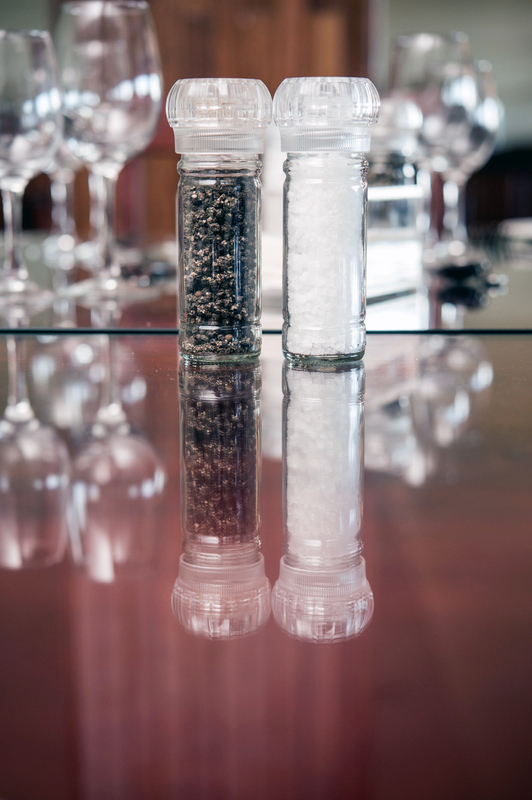 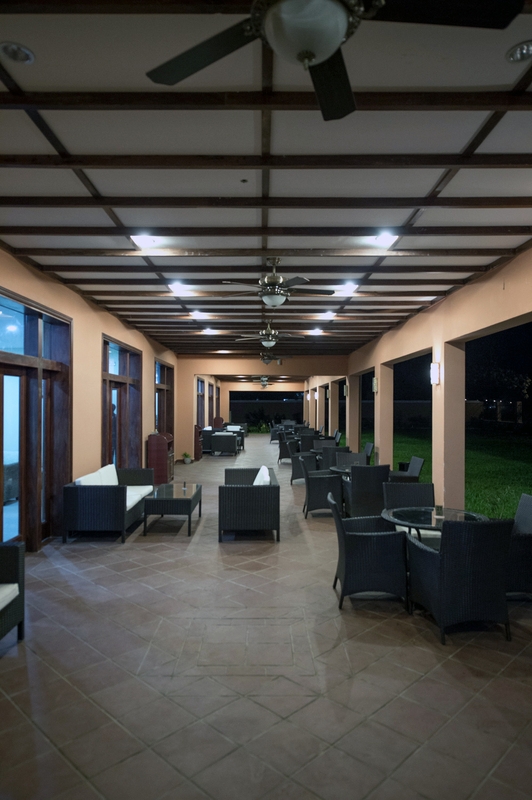 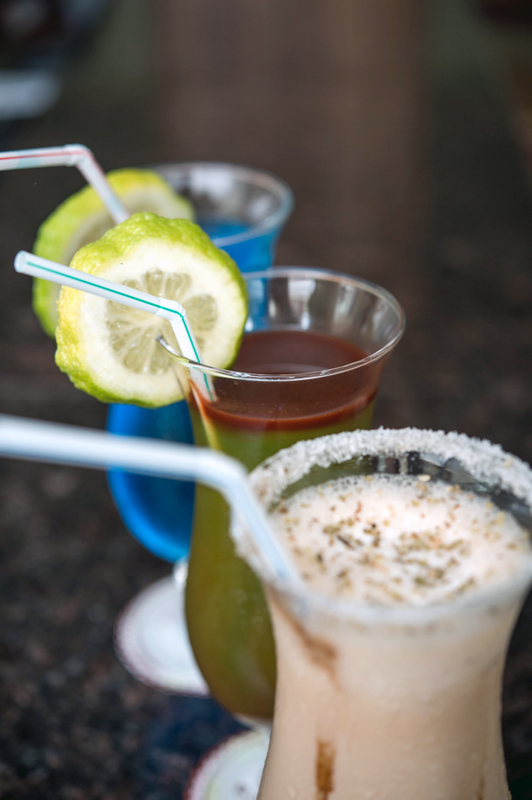 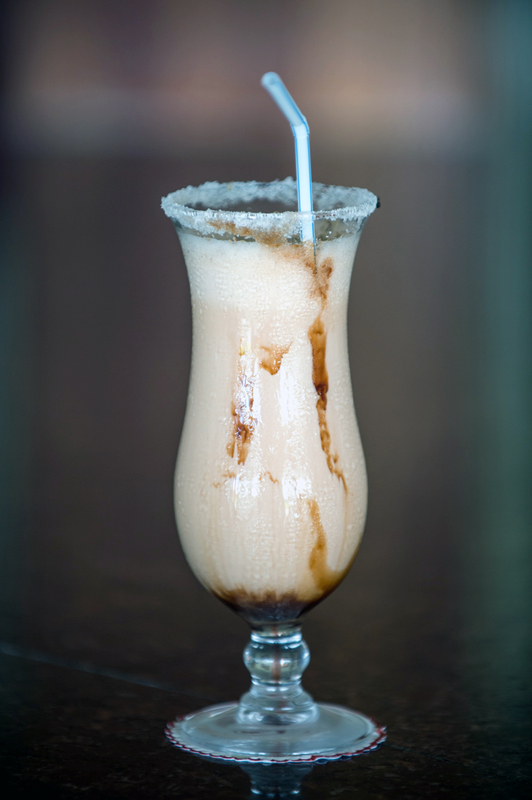 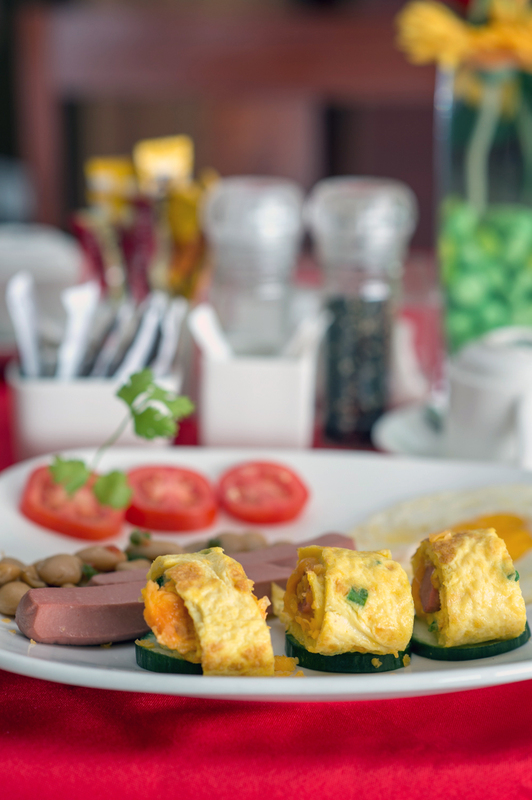 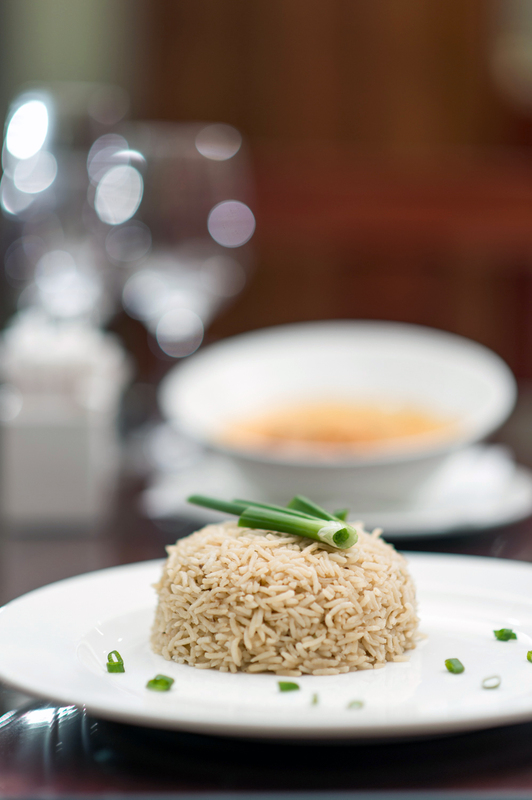 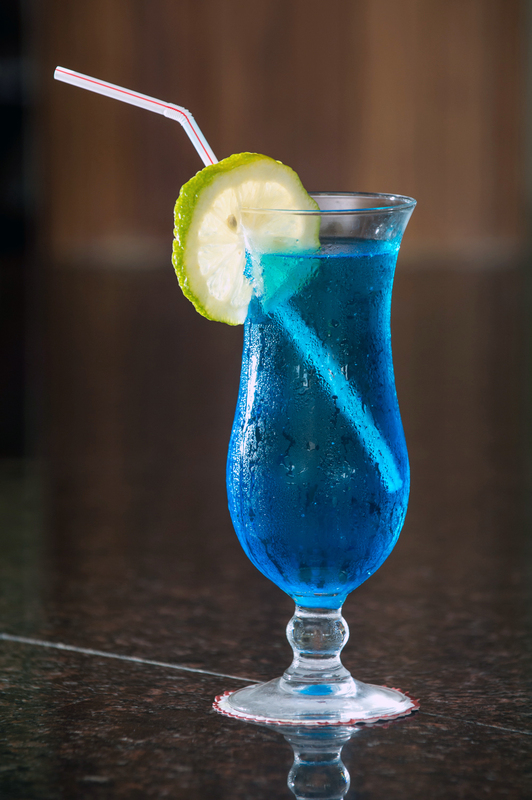 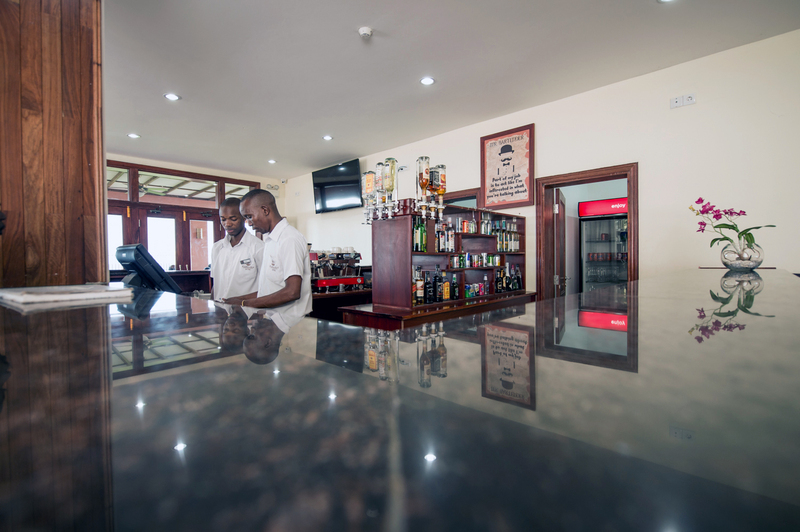 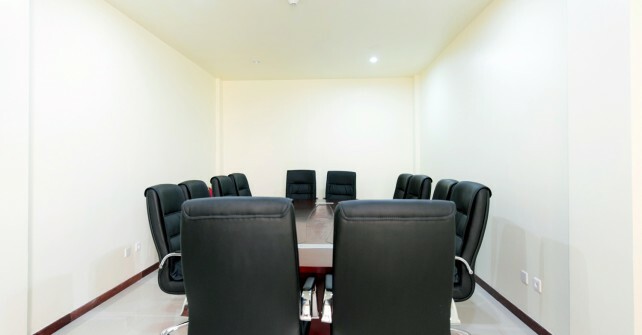 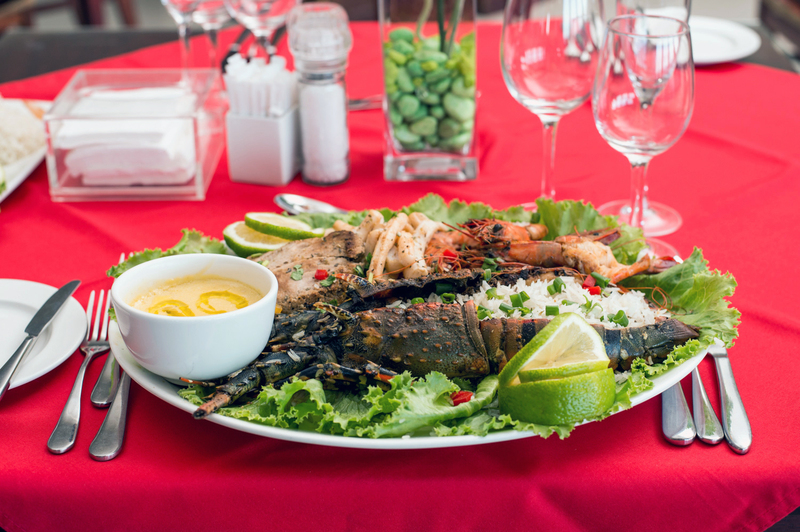 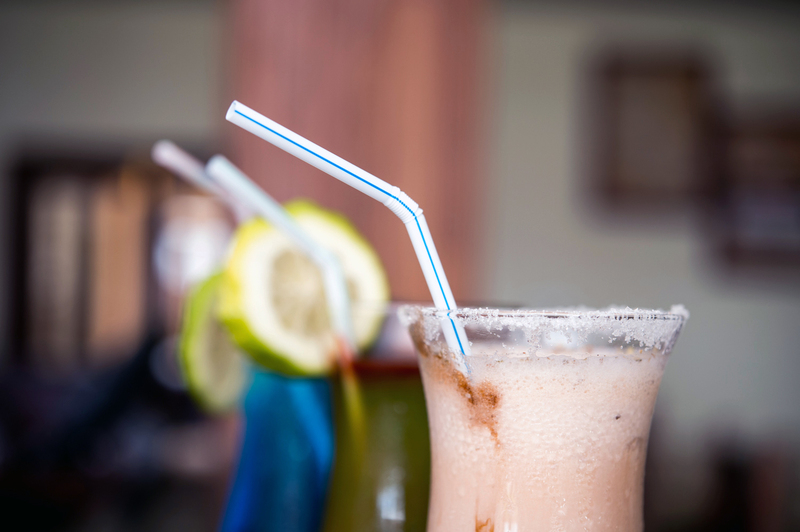 Stay connected with your business while you are away at Our Business center and conference facility for 100+ people .Enjoy international cuisine and finest drinks at our restaurant and bar. 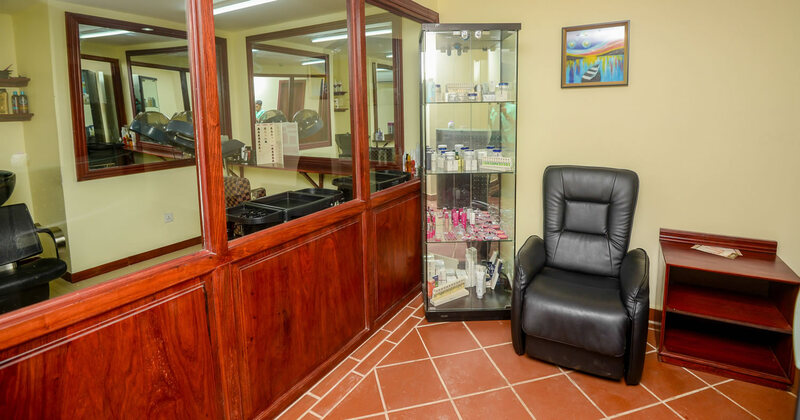 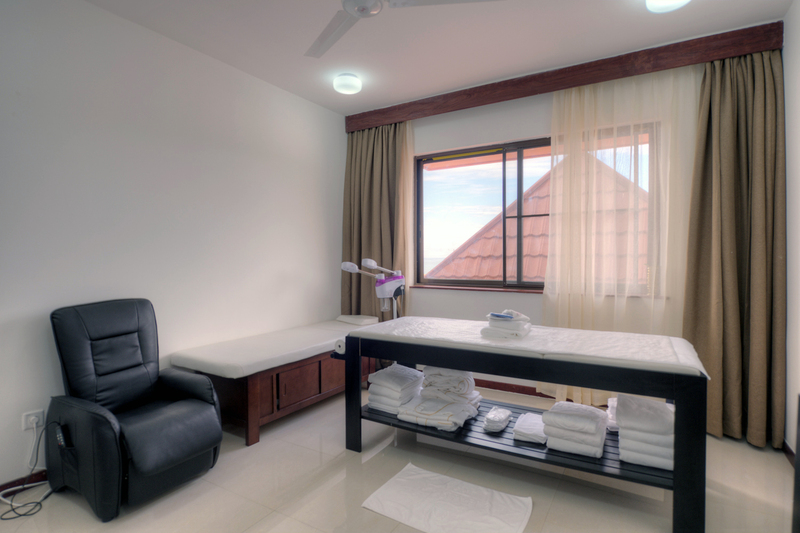 Do not forget to Relax & Rejuvenate our SPA. 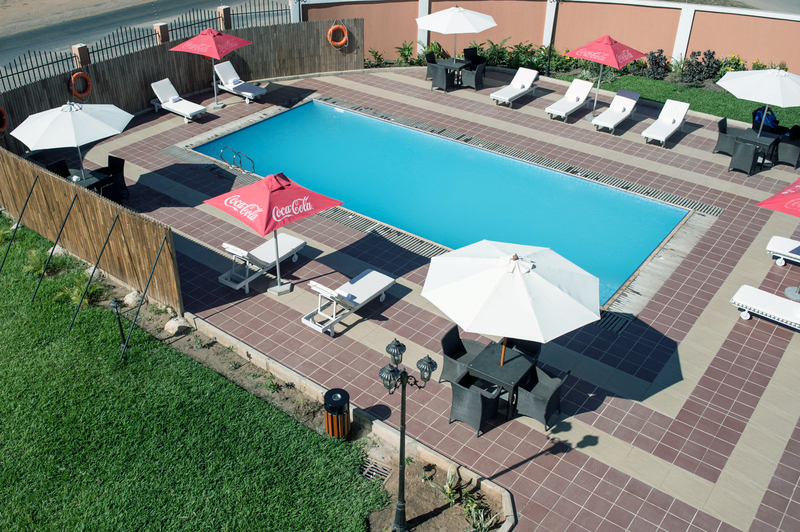 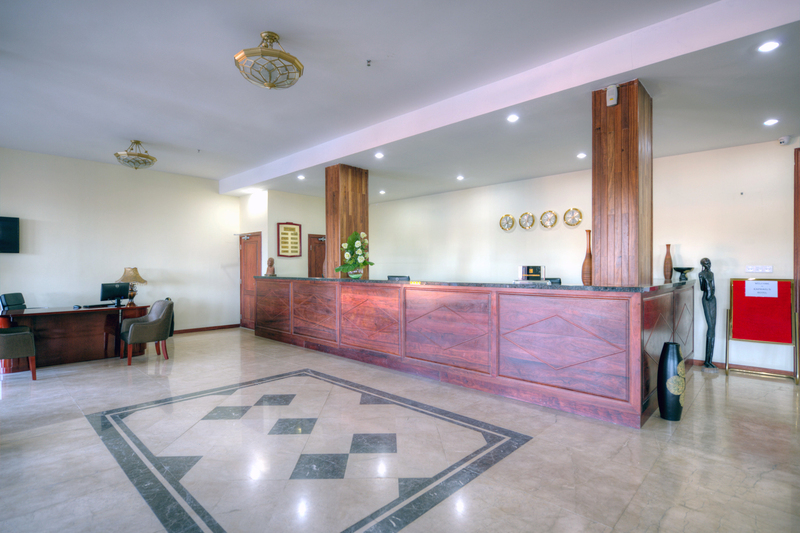 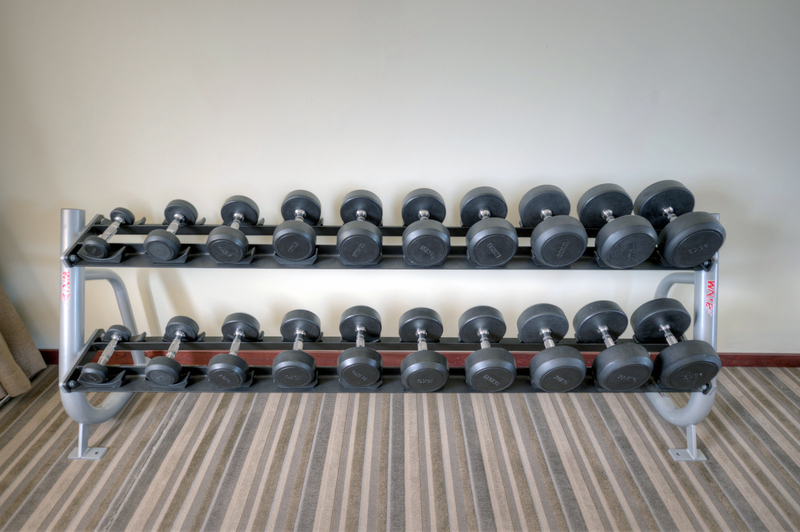 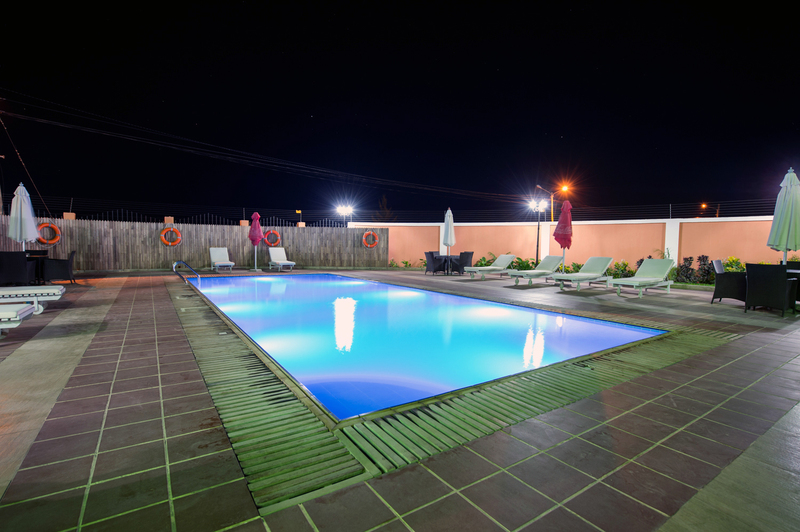 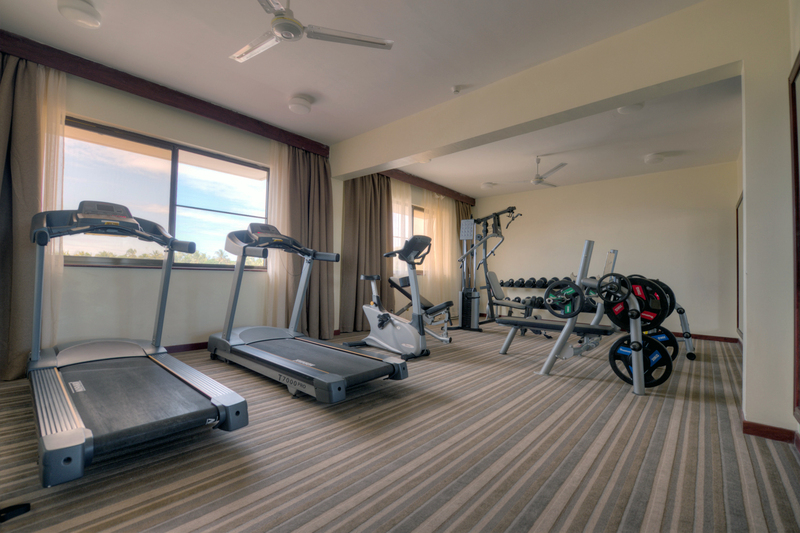 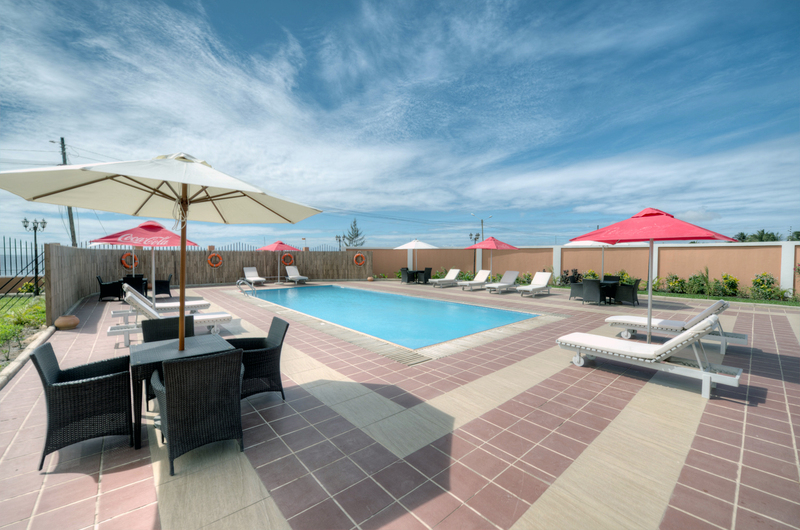 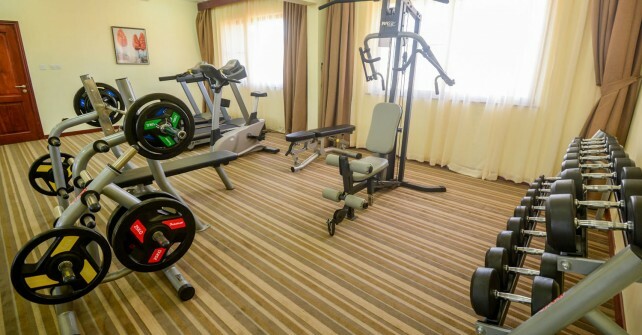 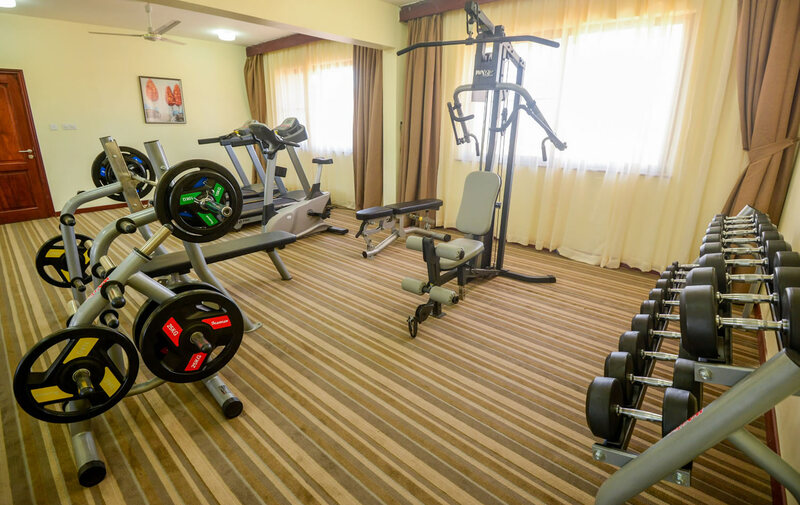 We also have swimming pool, Gym with all facilities and travel desk to help you manage your visit around. 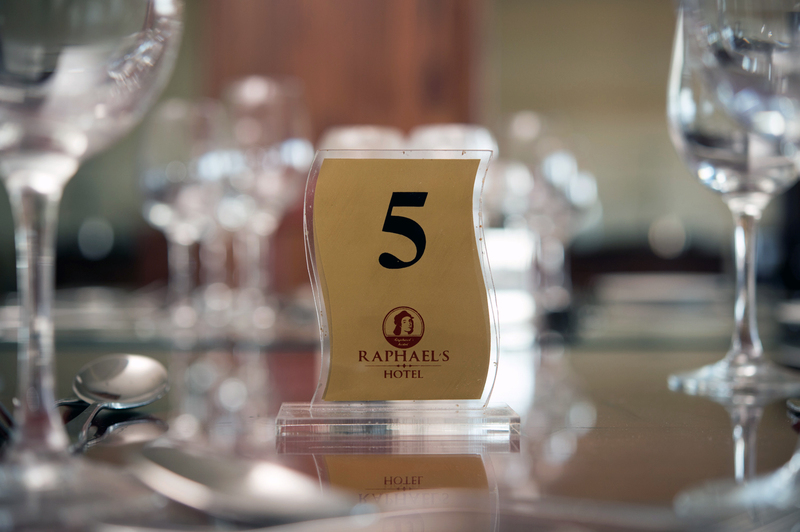 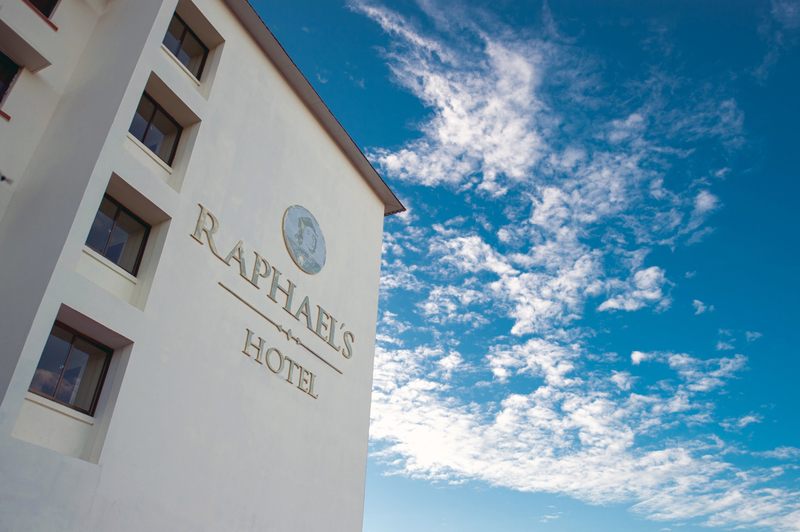 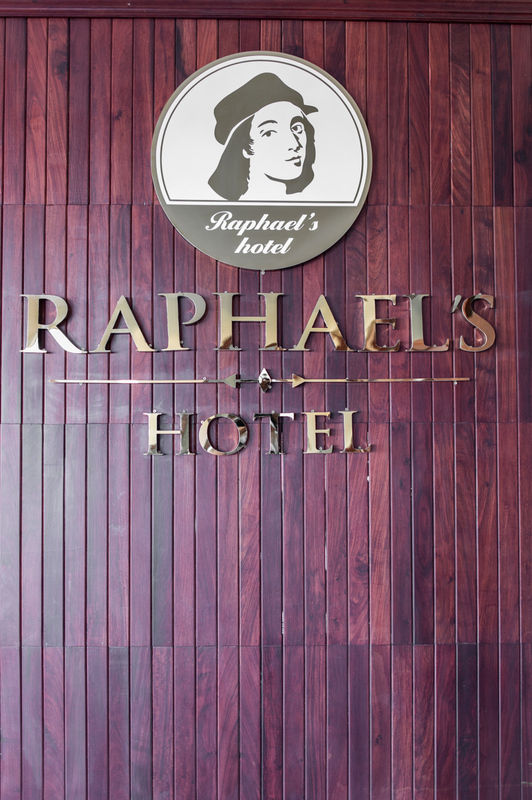 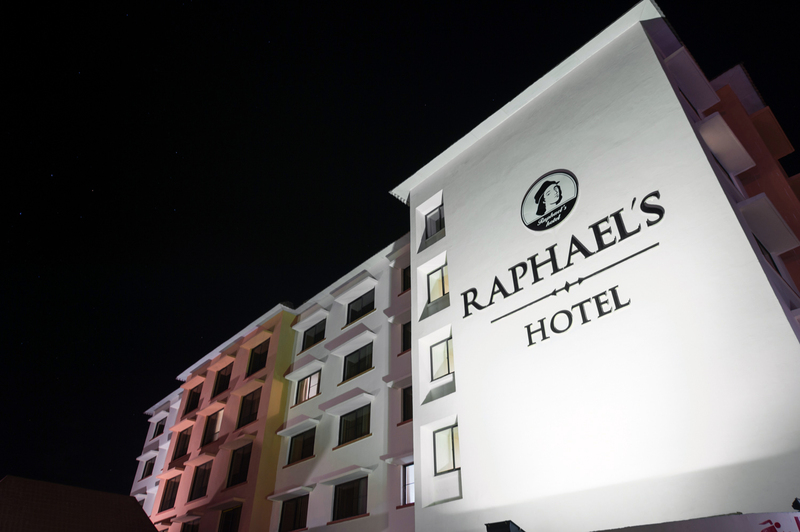 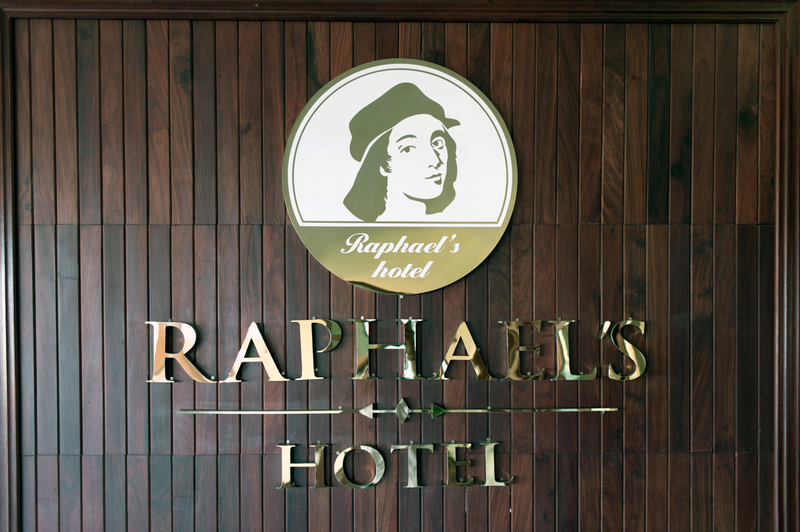 Raphael’s Hotel is owned by Goodone LDA, a reputed and well known company in Mozambiq, Tanzania, Kenya and China. 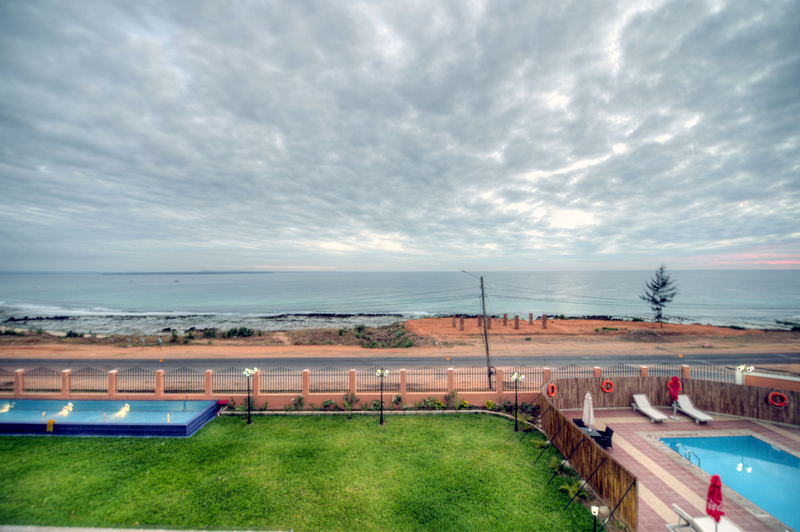 Pemba is a port city in Mozambique. 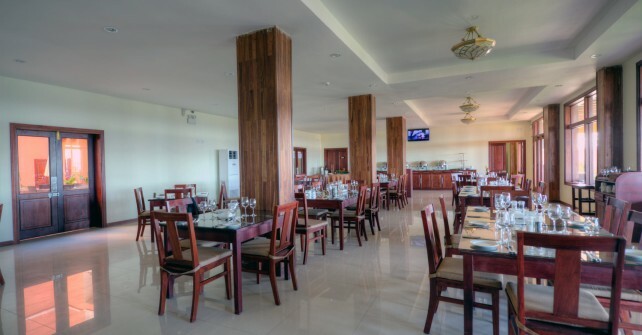 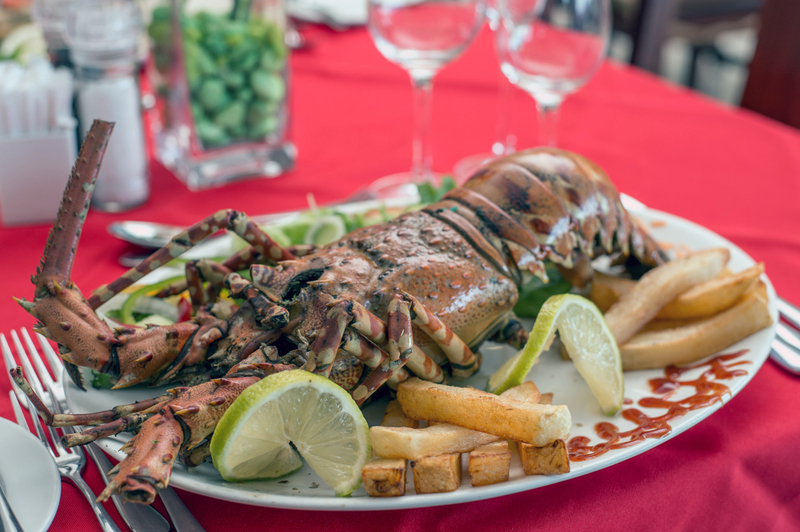 It is the capital of the province of Cabo Delgado and lies on a peninsula in Pemba Bay, Pemba is also renowned as being a prime destination for water sport and diving enthusiasts as a coral reef lies close to the shore. 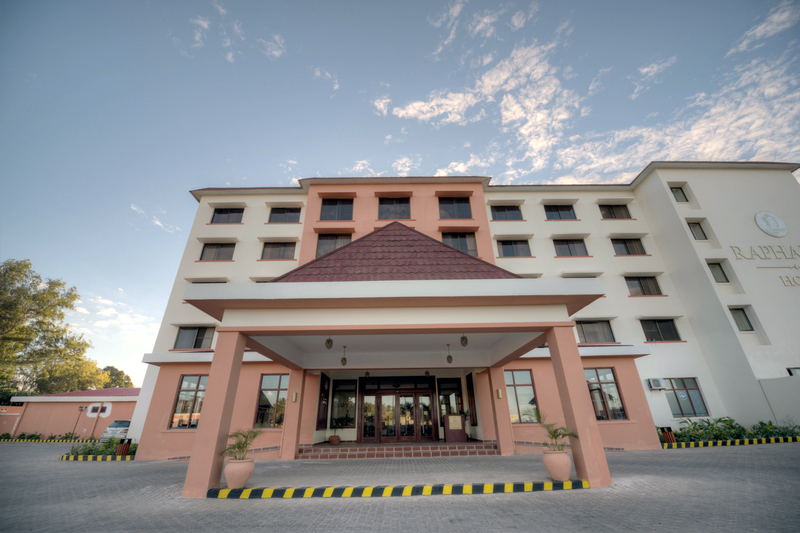 Pemba has increasingly become a tourist destination, with Direct flights from Tanzania, South-Africa,Nairobi and Zimbabwe.